Do you represent a Kentucky State Government Agency and wondering how you should archive all your web and social media content? Are you trying to determine what you need to do both from a legal and a technical point of view? Here’s a guide to the different Laws and processes you should follow. What Laws govern Records Management in the State of Kentucky? 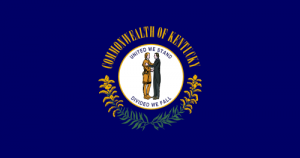 Kentucky Open Records Law (KRS § 61.870) and Open Meetings Act (KRS 61.800) govern records management in the State of Kentucky. These regulations provide a description of general requirements of open records laws and procedures to follow in implementing them in the public interest of transparency. Do Kentucky State Records Laws include Website and Social Media content? Public records are defined within KRS 171.410(1) as “all books, papers, maps, photographs, cards, tapes, disks, diskettes, recordings, and other documentary materials, regardless of physical form or characteristics which are prepared, owned, used, in the possessions of or retained by a public agency”. Public records are recorded information that is created or received by a state or local government agency in any format, which documents a transaction or activity by or with any public official or employee of that agency. Records management standards and principles apply to all forms of recorded information, from creation to final disposition, regardless of the medium in which the records are created and/or stored and so electronic records fall under the definition of public records. Website and social media content records are the public records that are found on agency websites and social media accounts. Every public official and agency are subject to these standards and regulations. Public agency is defined within KRS 171.410 (4) as “every state or local office, state department, division, bureau, board, commission and authority; every legislative board, commission, committee…..and any other body which is created by state or local authority and which derives at least twenty five percent (25%) of its funds from state or local authority”. All state and local government employees are responsible for the records (electronic and other) they create, develop use and maintain. They should be aware that records scheduling and compliance must be implemented for the electronic records systems used in their agencies. KRS 171.640 states that agency heads have a responsibility to ensure that records containing the proper documentation of the business, interests, communication and transactions of the agency are created and preserved. Your agency website must be retained in electronic format and remain usable, searchable, retrievable and authentic for the length of the designated retention period. KRS 171.680 (2) states that each agency should maintain a valid record’s system, and should incorporate “[E]ffective controls over the creation, maintenance, and use of records in the conduct of current business, cooperation with KDLA in applying standards, procedures, and techniques designed to improve the management of records; Promotion of the maintenance and security of records deemed appropriate for preservation” and more. Although open records provisions should not be used by parties to litigation as a substitute for requests under discovery, there is no indication in the Open Records Act that an agency’s obligations under the Act are suspended in the presence of litigation. Websites must be retained in their original format: HTML, CSS, PDF etc. KRS § 61.874 (2)(a) also states that public records shall be available in a standard electronic format as designated by the party requesting the records. How can we transfer website archives made with PageFreezer to the Kentucky State Digital Archives? PageFreezer exports all data on request in the original file format including the required metadata. This data set can be transferred by FTP or by other means to the Kentucky State or Agency Digital Archives.